I am not a crafty person, French Twisted, but not crafty. Glue guns scare me. After the kids use the glue gun, cleaning the glue off of the table scares me even more. 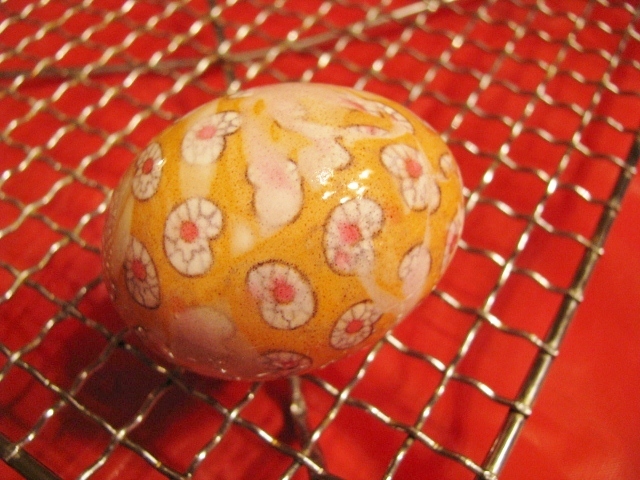 These eggs are easy to make. A little time-consuming, but no crafty talent necessary. Raid the closet for old silk ties. 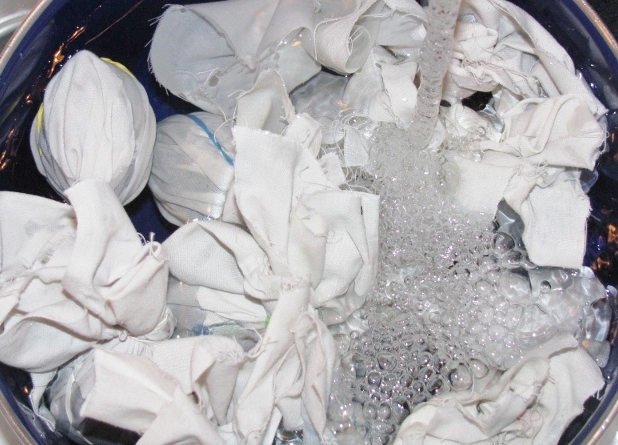 Any silk fabric will work – blouses, handkerchiefs, etc. You can also pick them up at thrift shops or yard sales. 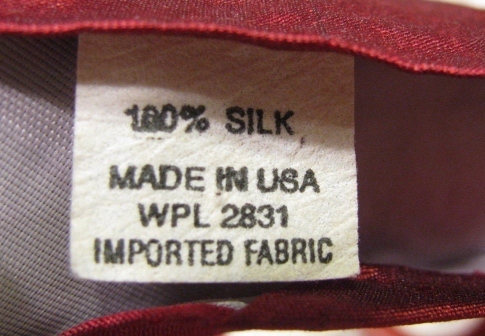 Yes, they need to be silk. Polyester will not work for this project. 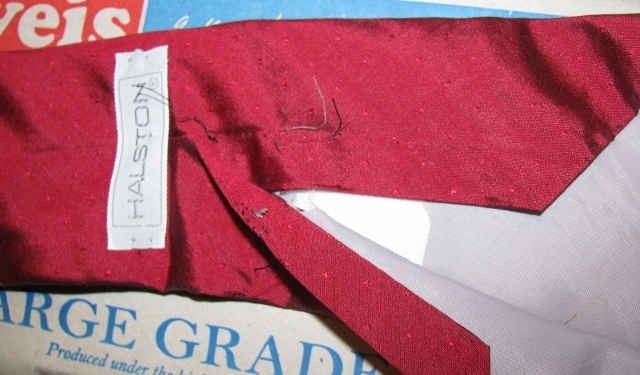 If using ties, you’ll need to disassemble them, remove the lining and cut them open on the seam in the back so you have a wider piece of fabric. 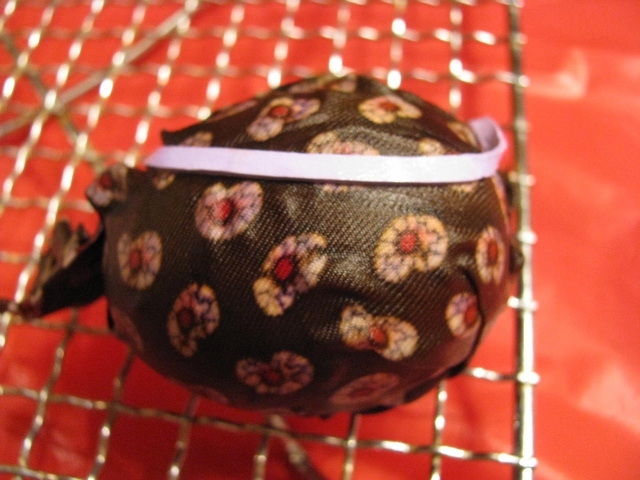 Cut a piece of silk large enough to wrap around the egg with a bit extra on the ends to twist and tie. 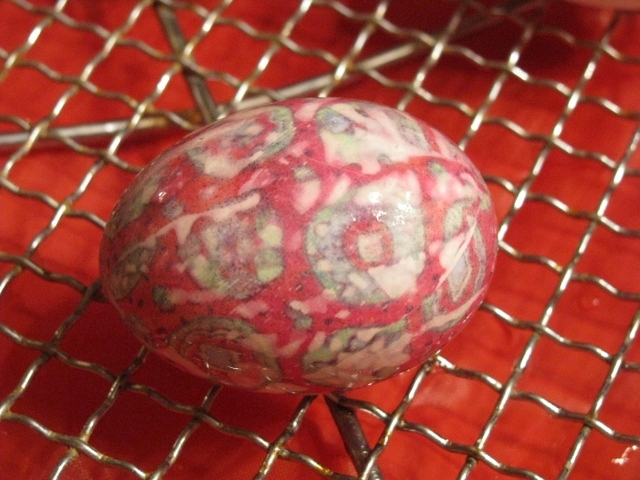 Wrap the front, the more colorful side of the fabric against the egg, and wrap it tightly. 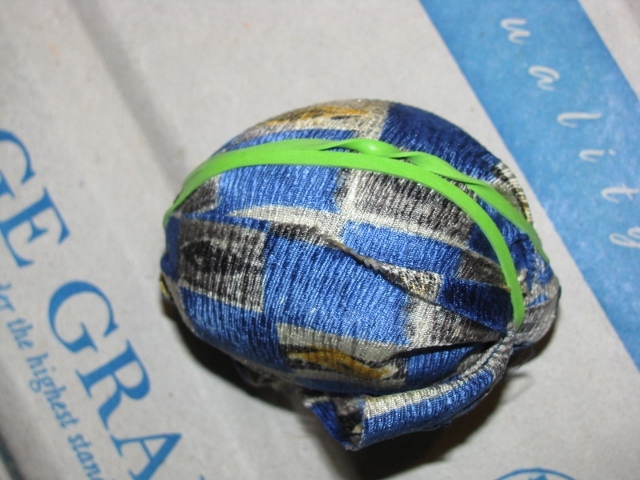 Secure with rubberbands, baggie twist-ties, or string. 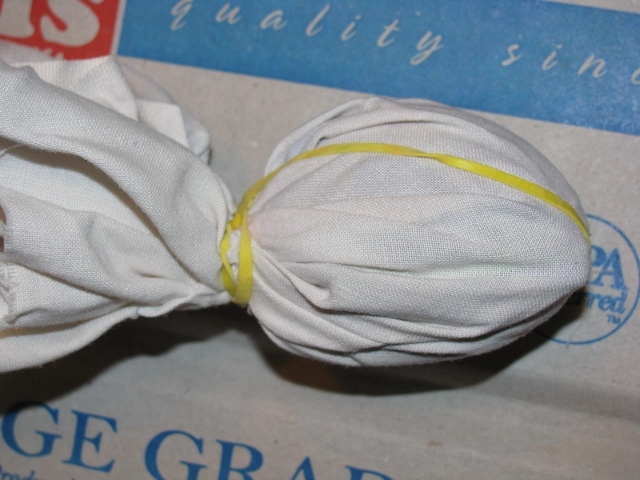 Wrap a piece of white cotton from an old sheet or t-shirt, around the silk-covered egg and secure again with rubberbands or string. Repeat for as many eggs as you would like. We made a dozen. 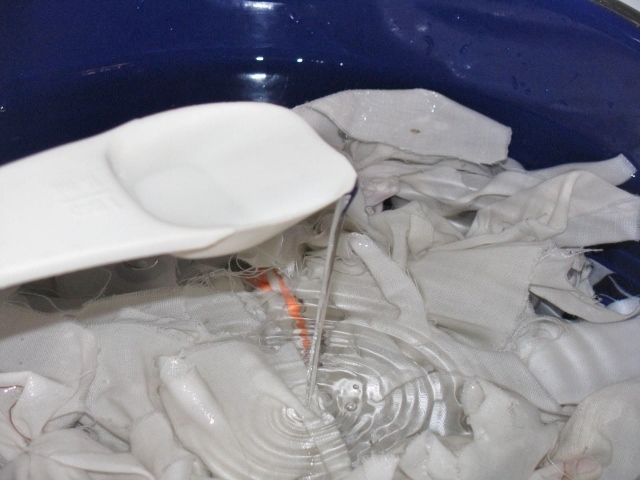 Place eggs in pot and cover with cold water. Add 5 Tablespoons of vinegar. Be sure that your vinegar makes concentric circles when it hits the water, as mine did. Not really necessary, but mesmerizing. 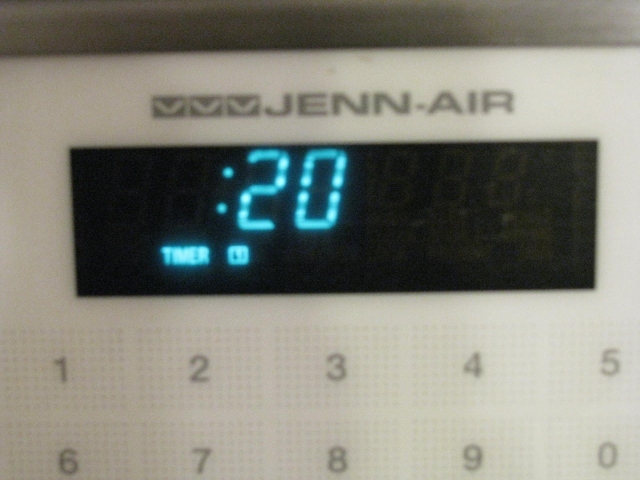 Bring water to boil and simmer for 20 minutes. 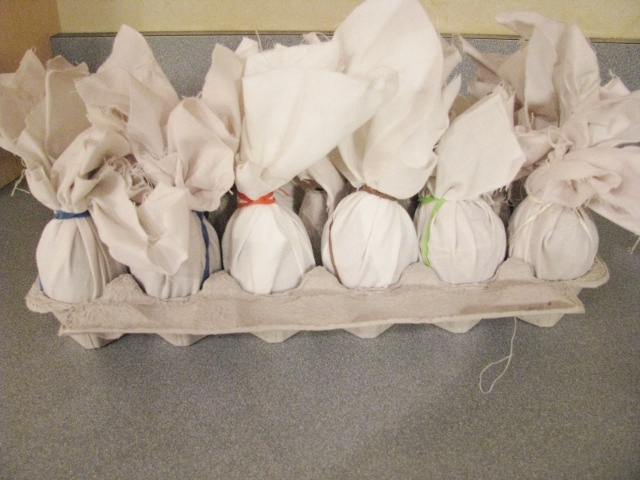 When finished, rinse with cold water until eggs are cool enough to handle. 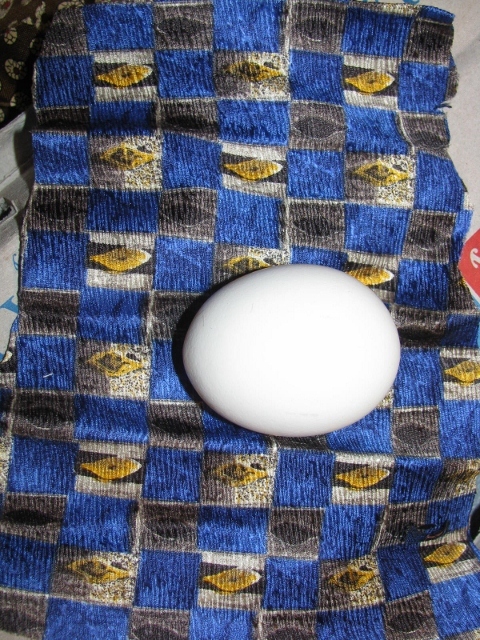 …this egg. And so on. 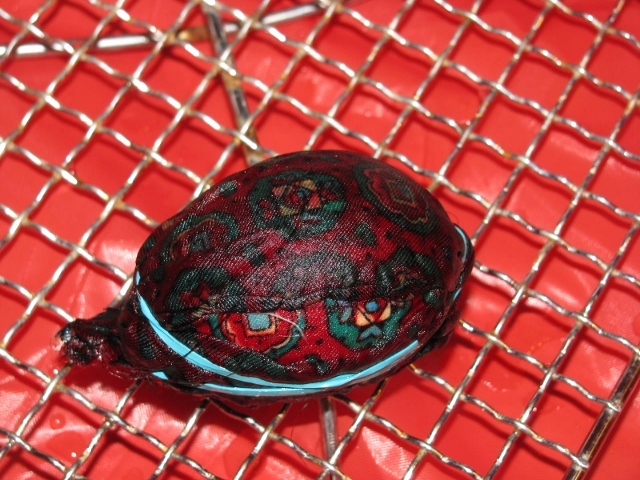 Wipe them with a little vegetable oil to enhance the colors and make them shiny. I wish you all beautiful eggs! Je vous souhaite à tous les beaux œufs! P.S. How do you color your eggs? Let me know. Those are so pretty! 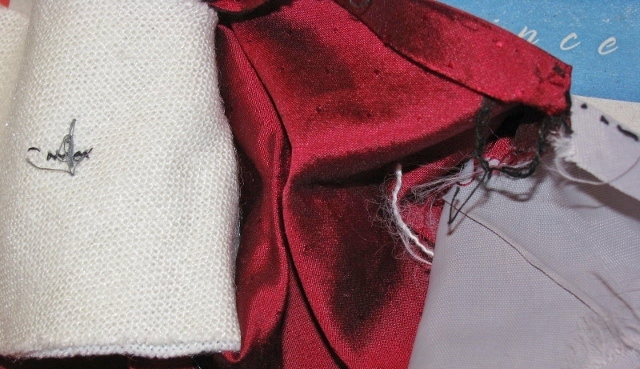 I think I am going to collect some silk so I can make them next year! Thanks. And I know you’re a yard-saler, so be on the lookout for them. I told to my wife that come to here and watch this. We have not ever seen or heard this technique. Maybe next Easter she’ll make these. Thank You very much for this extraordinary post! before Easter instead of a few days before. 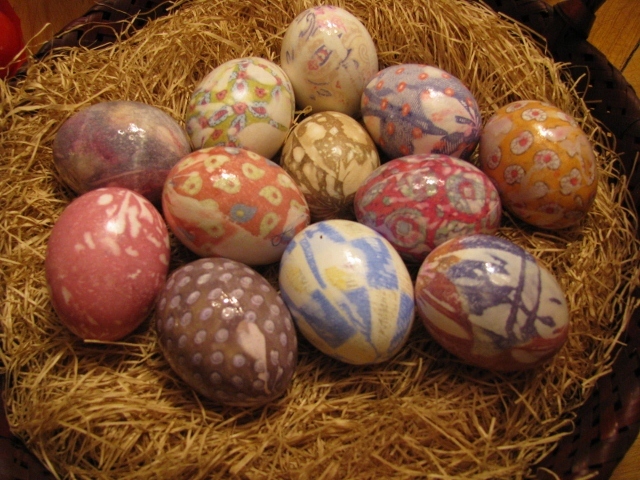 Nerci and Happy Easter to you and your family, too! Je préfère le français, mais il n’a pas d’importance. Merci de votre réponse à mon commentaire. These are gorgeous. Really lovely. Hope you and your family have a very happy Easter. L.
Merci! Thanks for commenting. Happy Easter to you and your family, too!